Berlin is the capital and the largest city of Germany. This popular tourist destination has key industries like IT, pharmaceuticals, biomedical engineering, clean tech, biotechnology, construction and electronics. Its economy is mainly driven by high-tech firms and the service sector. IT companies are booming in Berlin to serve software needs of industries. What is the course all about? Agile Methodology is popular for simplifying the software development process. Using scrum framework not just makes the product adaptable to changes but also flexible and efficient. To stay tuned with the latest technology trends, developers should undergo CSD certification in Berlin. CSD course in Berlin is a complete learning course that takes you through the basicsand advanced features and principles of scrum framework during first phase. The second phase CSD training in Berlin emphasizes on technical training and practice sessions through real world simulations led by an expert tutor. Benefits of the course: CSD training in Berlin is a comprehensive course designed to churn out scrum competent developers to the software industry. KnowledgeHut through its globally registered course affiliated to Scrum alliance offers CSD Certification in Berlinfor the benefit of software professionals. 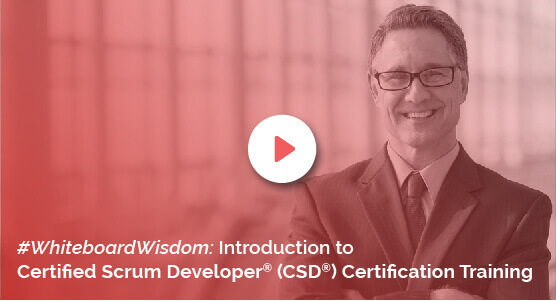 The course provides CSD certificate credentials to individuals validating their competency in fundamental and technical knowledge on scrum framework. With certified scrum developer certification as an important credential, developers can have their own profile page with a logo on the scrum alliance website. The course materialsupported by downloadable e-books and 100-days free access to agile and scrum e-learning program are the other attractions that make this course a worthwhile career enhancement move for professionals. The KnowledgeHut Way: Certified Scrum Developer Training in Berlin by KnowledgeHutcomes with affordable price tag and includes the cost of Scrum Alliance Certification Examination. Enrol for this course to stay abreast with latest software skills and also grab better career opportunities.